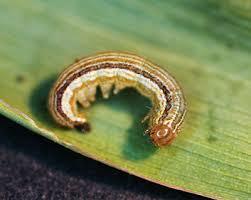 Armyworms are devouring Bermuda lawns and turning them brown. Look for inch-long worms with stripes running the lengths of their bodies. Most general-purpose insecticides will control them.